Quilting for Others (QFO) was established in 2000 as an outreach of Helping Hands Quilt Guild to provide the warmth and comfort of a quilt to those in need. We make lap-size quilts for men, women, and children, and a smaller size for babies and young children. QFO meets at the Simpson Center, 8 Main St, Camden at 6 pm on the second Tuesday of the month. Parking is off Center Street behind the Whatcoat Methodist Church, and there is a sidewalk to come across to the back door of the center. 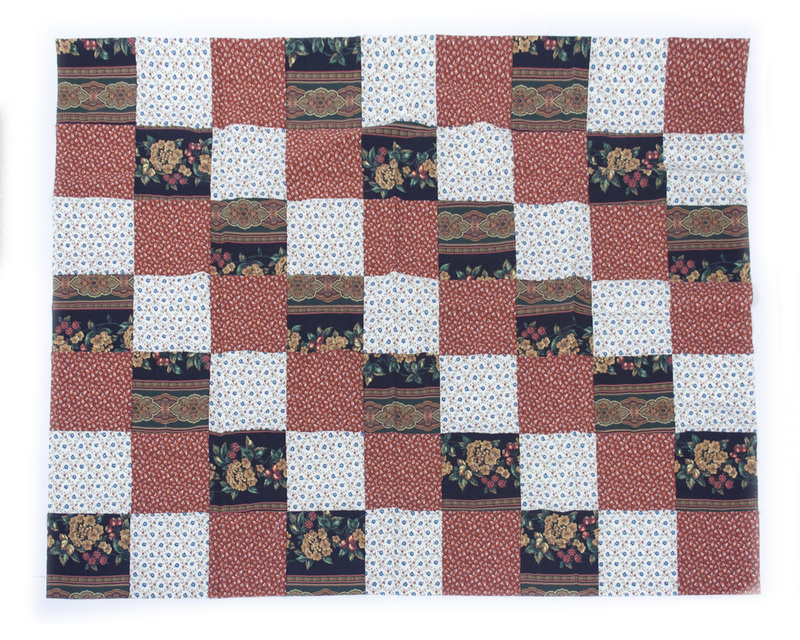 Click here to download directions for making QFO quilt tops using the Bargello (tube) method. Most of our quilts have remained in Delaware and have been distributed through agencies, such as the VFW in Camden, DAPI, People’s Place (Milford), Kody’s Kids, A. I. DuPont Hospital, Delaware Hospital for the Chronically Ill, Police Departments and others. Some quilts are given directly to individuals. A contribution to “QFO”, as Quilting for Others is affectionately known, enables us to continue our work of love for our neighbors “in need of a little color in their lives”. All donations are tax deductible, and we welcome donations of supplies as well as monetary contributions. Quilting for Others gathers at ​the Simpson Center, 8 Main St, Camden at 6 pm on the second Tuesday of the month. Kits are prepared sections of fabric designed to go together. Kits are available at all stages of the process and can be picked up at monthly Guild meetings or at the VFW at the appointed time.